Vueling flight Barcelona - Granada . 1 bag of 23 kg included. Arrival to Barcelona, meeting with our driver and transfer to hotel. Delivery of the welcome pack and information of cities to visit Glass of Cava in the Casino of Barcelona, accommodation. Breakfast and a full day tour of Barcelona. In the morning panoramic tour that will take us through the heart of the city such as Plaza Catalunya, Gothic Quarter and the Montjuic area where we will enjoy a cable car ride and we will enter to the “Pueblo Español” with the representation of monuments of all Spain. In the afternoon we will make a tour dedicated to the artist Gaudi. We will pass outside the Batlló and Pedrera houses. 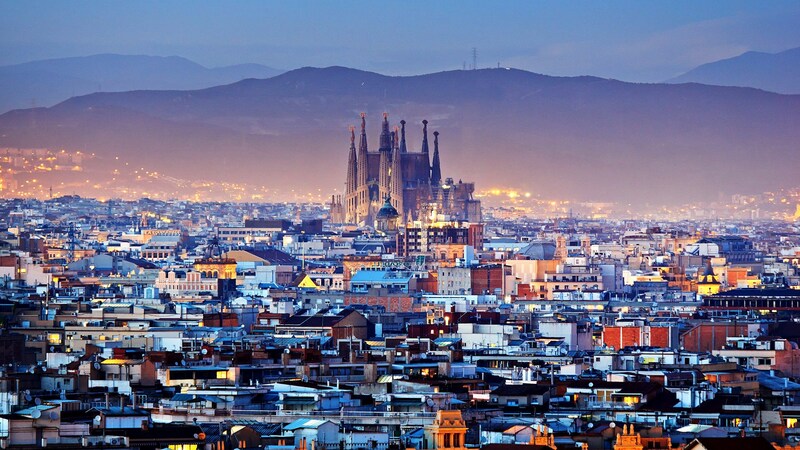 We will stop at the fabulous Guell Park and visit the impressive unfinished cathedral, the Sagrada Familia (visit inside). In the evening we will have dinner in a typical restaurant of Paela and fish. Accommodation. Breakfast at the hotel and transfer to the airport. Departure flight that will take us to Granada . In the evening we have included a dinner with flamenco show at The Temple of Flamenco. Accommodation. Breakfast at the hotel and visit of the city. Monuments and most representative of Sevilla in a single tour. Depart by minibus to discover the most important sights of the city such as the University, Old Snuff Factory, Spain Square, the most emblematic work of the Ibero-American Exposition of 1929, the Palace of San Telmo, the Golden Tower and the Bridge Isabela II. Then go to discover the Santa Cruz, ancient Jewish Quarter, the labyrinth of narrow streets, which leads to the famous Plaza de Los Venerables. We will visit the Reales Alcazares, the Royal Palace, the oldest in use in Europe and the Seville Cathedral, the largest in the world in the gothic style where you can find the remains of Christopher Columbus. End of the visit to the Cathedral. In the afternoon cruise through the Guadalquivir to admire some monuments from another very interesting point of view. Accommodation. Transfer from the hotel to the train station. Arrival to Cordoba and city tour. The tour begins by visiting the Alcazar de los Reyes Cristianos, to continue in the Great Mosque-Cathedral of Cordoba, Umayyad Andalusian treasure where we will be impressed by its " forest columns ". then visit the famous Jewish quarter, where we walk through its picturesque streets, squares, full of local color, to conclude in the Synagogue of Córdoba, the only survivor in Andalusia. Accommodation. Breakfast at the hotel and transfer to the train station. AVE train to Madrid. Lunch in a Tapas Restaurant. 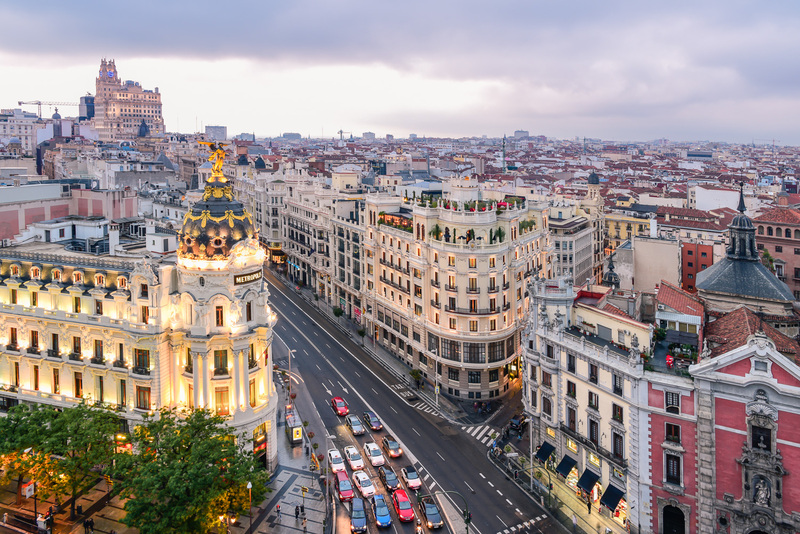 In the afternoon enjoy a panoramic view of the city to discover the most interesting places: Gran Via, Paseo de la Castellana, Puerta del Sol, Plaza de Toros de las Ventas. Accommodation. Breakfast at the hotel and departure to Toledo to visit this beautiful city, one of the most monumental of Spain. Enjoy a panoramic view and also go into any of the most important monuments such as the Santa María La Blanca Synagogue and Damasquinado workshop. Return to Madrid and in a typical tapas restaurant. Accommodation. Breakfast and transfer to airport. End of the trip and our services.